The syncytiotrophoblast is multinuclear layer that forms and expands throughout pregnancy by intercellular fusion of the underlying feeder layer of mononuclear villous cytotrophoblasts. The syncytiotrophoblast facilitates implantation of the blastocyst in the maternal endometrium by production of lytic enzymes and secretion of pro-apoptotic factors. Eventually, the expanding syncytiotrophoblast surrounds the embryo entirely. 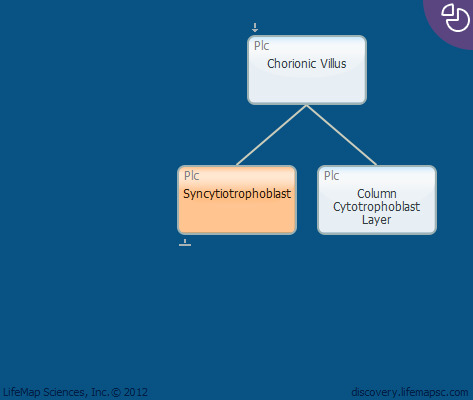 The syncytiotrophoblast develops between stages 8-13 in the mouse and on day 8 in humans.